Sikhs greet souls by saying Sat Sri Akal. This remembers one and others to live with truth, achieve all treasures and merge in Eternity. 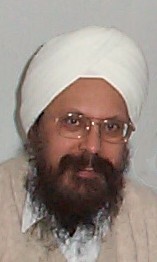 Satsriakal prospers spiritual values of Sikh scriptures and its practical explanation. Do not only say it as a habit. Do not remember it as slogan. the veil between you and Him. to meet and say Sat Sri Akal. who is loud and does not listen. Get straight with yourself first. Then bow down and live truth. also to Him who is beyond time. This is a part of Sat Sang in punjabi on Sat Sri Akal.